Max in comfy jammies talking to me through grunts and smiles and tickles. Me wearing sunglasses to hide tired eyes and soothing Max with a little “pat pat” on his bum. You can vote for up to 5 photos – so feel free to select your top 5 in the poll at the bottom of this link. 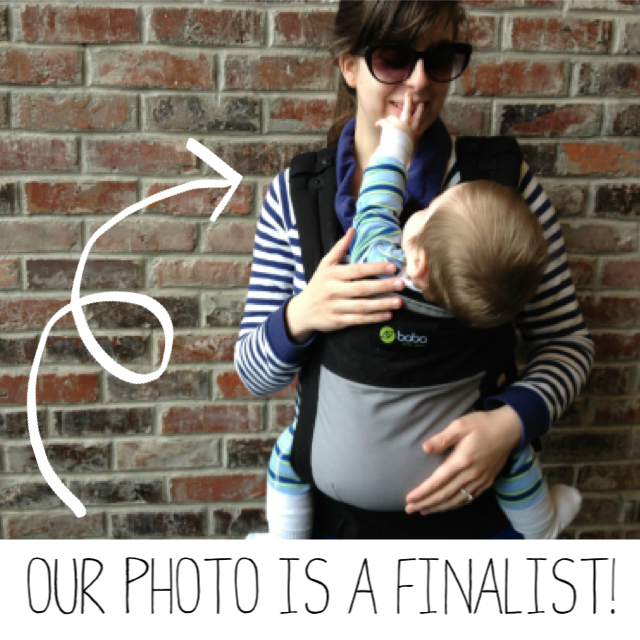 I will totally have to vote- that's awesome that you are a finalist! It's a totally adorable and REAL photo. PS- we loooove our Boba.